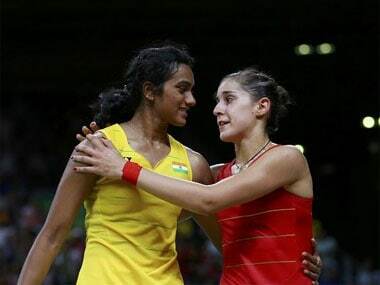 The mouth-watering prospect of a third joust in the past five months between world, Olympic and European champion Carolina Marin and India’s Olympic silver medallist Pusarla Venkata Sindhu promises to light up the New Year as Hyderabad Hunters take on Chennai Smashers in the second edition of the Premier Badminton League (PBL) at the beautiful Gachibowli Stadium on Sunday evening. It will be Sindhu who goes into the match on a high, after administering a straight-games thumping to the Spanish left-hander in the year-ending BWF Super Series grand finals in Dubai, to avenge the heartbreak in the Rio Olympics final. Yet, seeing the slam-bang nature of the PBL-2 format (best of three games of 11 points, which ensures that matches last no more than half-an-hour), it becomes impossible to predict the outcome of the clash. Both teams will hesitate to make either of the two outstanding players their trump card, with the knowledge that while a win would give them a bonus point, a loss would deal them a -1 blow on the points table, and negate the efforts of the other team members. Chennai would consider it worth taking a chance to put their shirt on Indonesian Tommy Sugiarto for the first men’s singles against Englishman Rajiv Ouseph. Sugiarto, ranked 21 in the world today, was unbeaten in six outings in the inaugural PBL, and had a nerve-wracking 15-14 third-game victory against redoubtable Malaysian Lee Chong Wei. But Ouseph, who is 16th in the current BWF rankings, was not too far behind, producing the goods for Delhi Acers last year in four of the five matches he played for them – ironically as Sugiarto’s teammate. Chennai would be faced with a pleasant dilemma whether to field Parupalli Kashyap, who is returning after a lengthy period in the wilderness thanks to a knee injury, or the powerful Thai left-hander Tanongsak Saemsombonsuk, who had a modest 2-4 win-loss record in PBL-1, when he had turned out for Awadhe Warriors. Similarly, Hyderabad would find it a toss up on whether to go with reigning Indian national champion Sameer Verma, who is in great form after barging into the finals of the Hong Kong Open Super Series in November 2016, or B Sai Praneeth, who had bagged the national singles crown three years back, and had a 3-2 winning record in PBL-1, when he had donned the colours of Awadhe Warriors. In the men’s doubles, Hyderabad are well served by 27-year-old Olympic silver medallist and current world No 1 Tan Wee Kiong of Malaysia, partnering his 29-year-old compatriot, Asian Games gold medallist and World Championships silver medallist Tan Boon Heong. The Malaysians would be odds-on favourites to take on any Chennai combination, picked from amongst Denmark’s Mads Kolding, England’s Chris Adcock and India’s Sumeeth Reddy. However, Adcock, with his wife Gabrielle, will be strong favourites in the mixed doubles against any combination that Hyderabad would care to pick, for their three women players in the paired event, Srikrishna Priya, Chau Hoi Wah and Meghana Jakkampudi would hold few terrors for the Adcocks. The 30-year-old Chau, who won the mixed doubles at the Australian and Canadian Opens in 2016, would be the most likely selection to partner one of her Malaysian teammates. The Hyderabad-Chennai tie promises to be even and bitterly fought, and should lay the foundation for a fortnight of absorbing badminton action, with the caravan trundling from Hyderabad to Mumbai on 3 January, then to Lucknow, Bangalore and finally Delhi. On paper, Delhi Acers appear to be the most balanced team, with two outstanding men’s singles exponents in Denmark’s world No 2, Jan O Jorgensen, and South Korea’s Son Wan Ho, losing finalist in the recent BWF Super Series finals in Dubai. In the doubles, they have reigning All-England and Russia Open champions Vladimir Ivanov and Ivan Sozonov, with the giant Ivanov doubling up as their mixed doubles lead. The women’s singles appears to be the Delhi team’s Achilles heel, with Thailand’s Nichaon Jindapol and newcomer Aakarshi Kashyap likely to find the going tough while taking on the likes of Marin, Sindhu, Saina Nehwal and Sung Ji Hyun from the other teams. A lot will depend on the form of powerful southpaw Jwala Gutta, who is expected to take the court with Ivanov for the crucial mixed doubles. Thus, while Delhi appear reasonably well-placed to repeat their PBL-1 triumph this year, the Mumbai Rockets side appear the least likely to make the semi-finals. The loss of Ivanov to the Acers is a huge blow, for the world No 10 Russian had identical 4-3 winning records for the Rockets in the last season. The lead Mumbai men’s singles player, 29-year-old Ajay Jayaram, does have an enviable 3-0 winning PBL-1 record, having turned out for Delhi Acers last year. 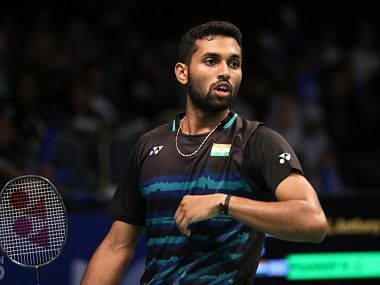 But Jayaram, HS Prannoy and Shreyansh Jaiswal will have their hands full trying to pull out even a solitary point from the two men’s singles matches, in the face of opposition from the likes of Jorgensen, Sugiarto, Ouseph, Son Wan Ho, Viktor Axelsen and Srikanth Kidambi, who have all been snapped up by other teams. The one factor that goes in favour of the weaker players is the truncated nature of the scoring format. It is much easier to go all-out against a stronger player over a half-hour-long encounter, than it is to pit skills, temperament and stamina against a more powerful rival in the regular version of the sport, where a match that goes the full distance often extends beyond the one-hour mark. In this somewhat contrived, slam-bang version of the shuttle sport, the pressure is squarely on the higher-ranked players, even as the less fancied ‘baddies’ can go for broke! 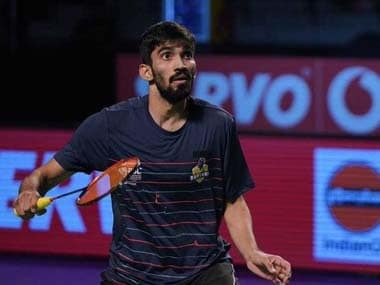 Awadhe Warriors: Srikanth Kidambi, Wong Wing Ki Vincent, Aditya Joshi, Saina Nehwal, Rituparna Das, Prajakta Sawant, Savitree Amitrapai, Markis Kido, Bodin Issara, V Shem Goh. Bengaluru Blasters: Viktor Axelsen, Boonsak Ponsana, Sourabh Verma, Ruthvika Gadde Shivani, Cheung Ngan Yi, Ashwini Ponnappa, Sikki Reddy, Ko Sung Hyun, Yoo Yeon Seong, Pranaav Jerry Chopra. Chennai Smashers: Tommy Sugiarto, Parupalli Kashyap, Tanongsak Saensomboonsak, PV Sindhu, Ramya Tulasi, Gabrielle Adcock, Arundhati Pantawane, B Sumeeth Reddy, Chris Adcock, Mads Pieter Kolding. Delhi Acers: Jan O Jorgensen, Son Wan Ho, Siril Verma, Nichaon Jindapol, Aakarshi Kashyap, Jwala Gutta, Maneesha K, Vladimir Ivanov, Ivan Sozonov, Tanvi Lad, Akshay Dewalkar. Hyderabad Hunters: Rajiv Ouseph, B Sai Praneeth, Sameer Verma, Carolina Marin, Srikrishna Priya, Chau Hoi Wah, Meghana Jakkampudi, Tan Boon Heong, Tan Wee Kiong, Satwik Sairaj. Mumbai Rockets: Ajay Jayaram, Haseena S Prannoy, Shreyansh Jaiswal, Sung Ji Hyun, Gummadi Vrushali, Nadiezda Zieba, Mohita Sahdev, Nipitphon Phuangphuapet, Lee Yong Dae, Chirag Shetty.